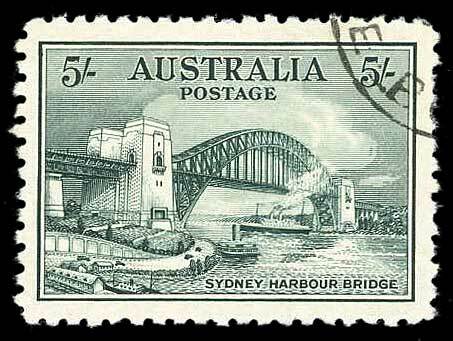 Australia, 1932, 5/-Sydney Bridge, cto, Very Fine. Brunei, 1907 -21, 1c to $5 Issue, mostly o.g., missing #17 and 35; few with toned gum, generally Fine to Very Fine. 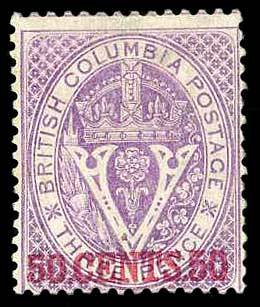 Canada; British Columbia & Vancouver Island, 1867, 50¢ on 3d Violet, Perf 14, #12, expertly regummed, Fine. Canada; Newfoundland, 1910 Guy Tercentenary Complete, Lithographed, #87-97, o.g. ; 8¢ few toned perfs, otherwise Fine or better. 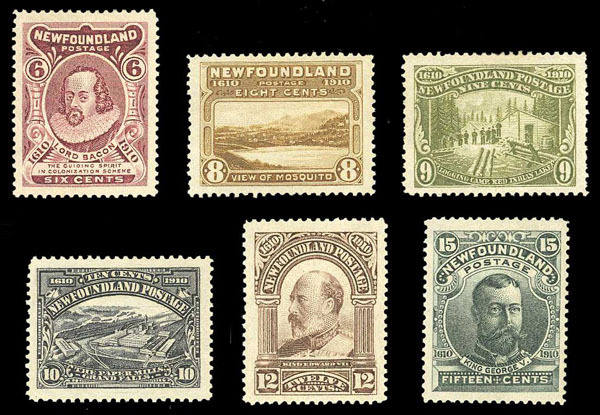 Canada; Newfoundland, 1911 Guy Tercentenary Complete, Engraved, #98-103, o.g., Fine to Very Fine. 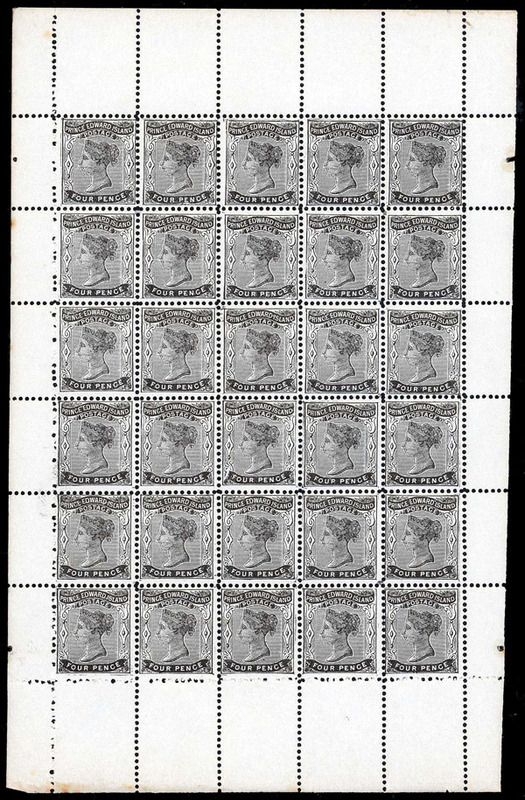 Canada; Prince Edward Island, 1868, 4d Black, #9, n.h., full pane of 30, light toning in selvage only, incl. pl. flaws, excellent gum, Fine to Very Fine. 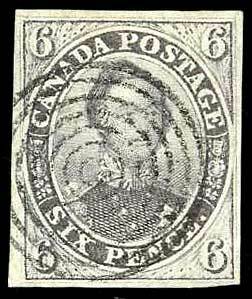 Canada, 1851, 6d Slate Violet, Laid Paper, #2, 4 margin used example, expertly repaired, Fine to Very Fine appearance. 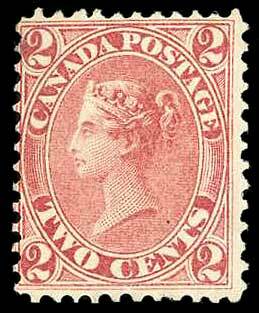 Canada, 1864, 2¢ Rose, #20, expertly regummed, Fine. 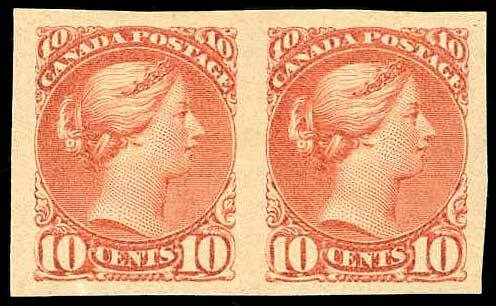 Canada, 1897, 10¢ Brown Red, Imperf, Pair, #45c, disturbed o.g., Very Fine appearance. 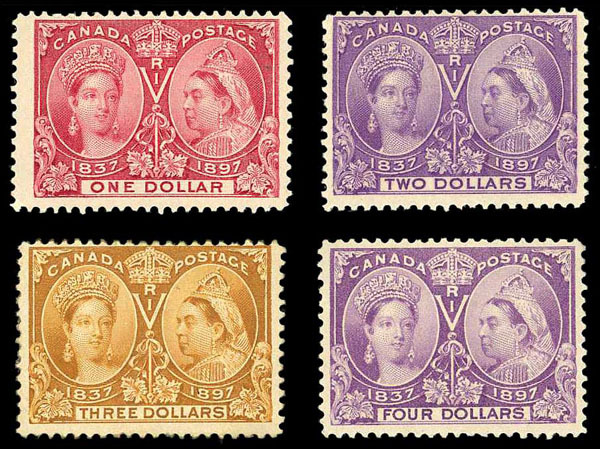 Canada, 1897, $1 to $4 Victoria Jubilees, #61-64, o.g. (h.r. ); $3 regummed, $4 small thins, Fine or better. 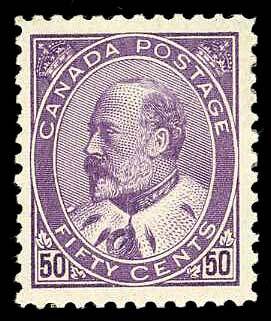 Canada, 1908, 50¢ Purple, #95, o.g. (h.r. ), deep color; small vertical gum skip, otherwise Fine to Very Fine. 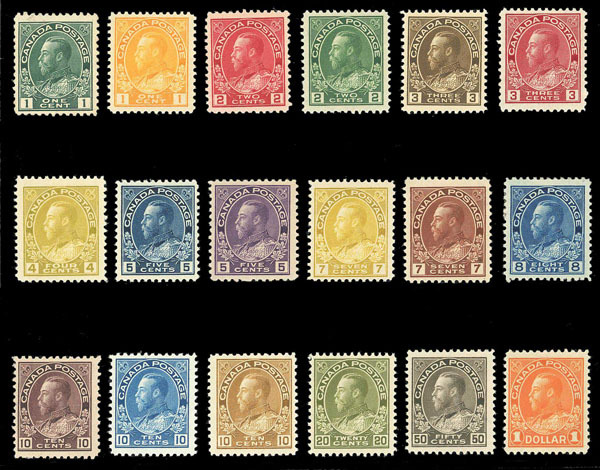 Canada, 1912-25, King George V "Admiral" Complete, #104-122, o.g., Fine to Very Fine. Canada, 1929, 50¢ Bluenose and $1 Parliament, #158-159, o.g., Fine to Very Fine. 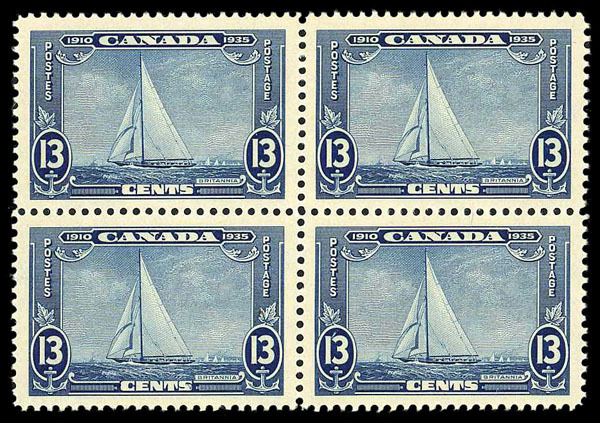 Canada, 1935, 13¢ Silver Jubilee Shilling Mark Variety, Unitrade #216i, n.h., single in block of 4, Very Fine. 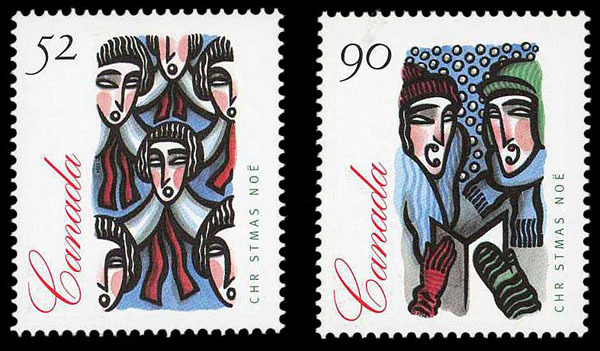 Canada, 1994, 52¢ and 90¢ Unissued Values, Unitrade #1534ii-1535ii, n.h., with regular issues for comparison, Very Fine. Scott #1534 var.-1535 var. $625. 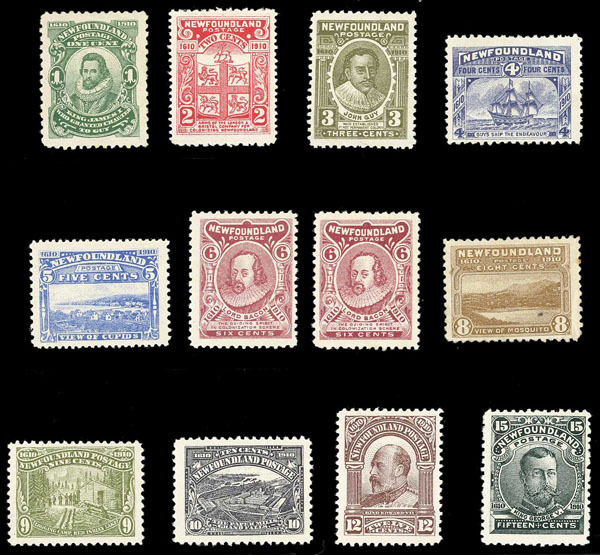 Falkland Islands, 1904-12, King Edward VII, ½d-5/- Complete, o.g. to l.h. (high values), Fine or better. India, 1948, Gandhi Complete, o.g., Very Fine. Federated Malay States, Malaya; Johore, 1921-40, $3, $4, and $5 Values, o.g., Fine to Very Fine.